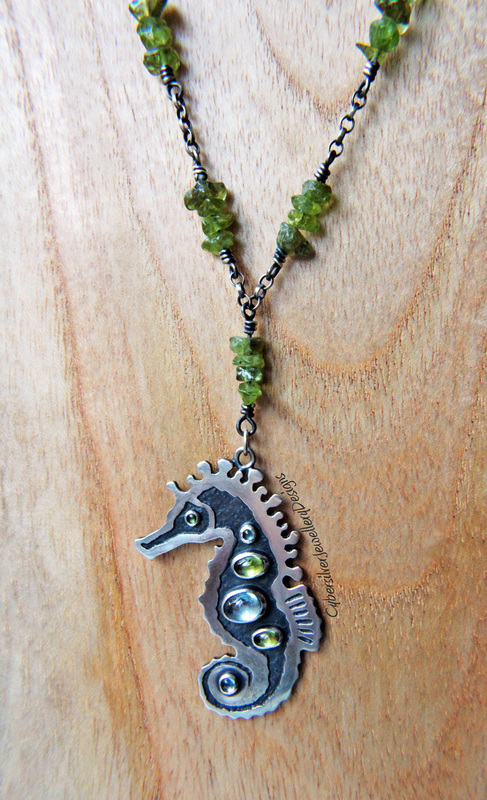 A charming seahorse set with sea-coloured gemstones and hanging from a seaweed peridot chain. 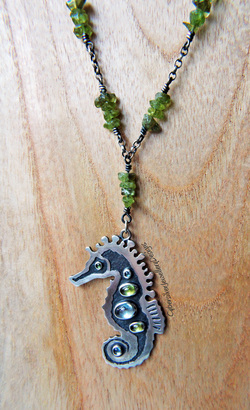 This necklace is entirely handmade by me - from the hand cut seahorse to the meticulously hand-wrapped sterling silver and natural uncut peridot bead chain. The silver has been oxidised, highlighted and sealed with a microcrystalline wax to help protect the oxidised surface. Hallmarked by Goldsmiths of London - your guarantee of silver purity.